This tote I made from IKEA canvas fabric (bought 1 yard of it). The key I purchased at Portobello Road in London at one of those random trinket stores along the road that sells old findings. Just wanted a reason to put it somewhere I guess. Didn’t have a pattern for the tote. For some reason it looks oddly droopy in this picture, but it’s not. 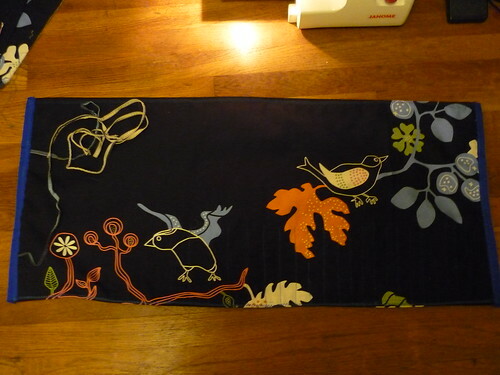 It’s a roll-up knitting needle case, also constructed using IKEA canvas fabric as well as scrap fabric from an old pair of H&M pajama pants that I loved years ago. (I save stuff like this for future projects, what can I say.) I even re-used the H&M pj drawstrings for the cording to roll up the case.